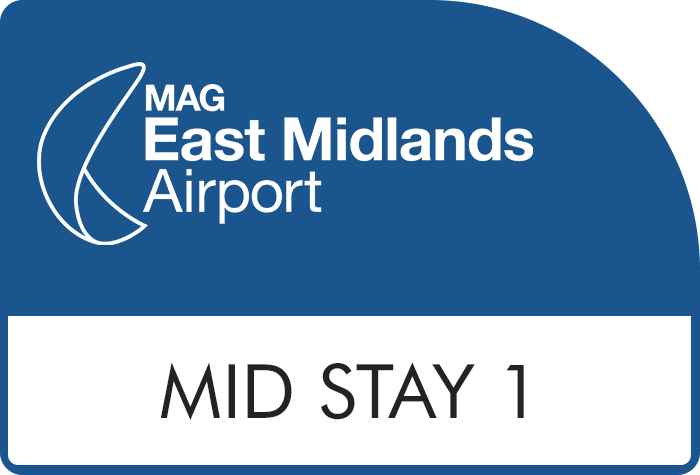 Boasting a super simple parking process, affordable prices and official airport security the Mid Stay 1 car park is a top choice for fuss-free East Midlands airport parking. 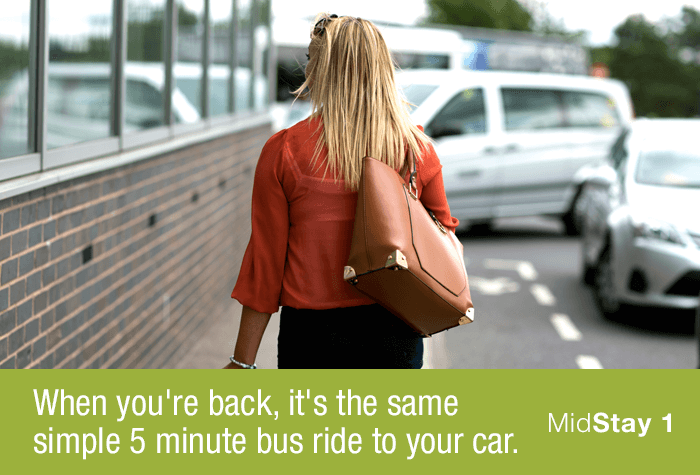 Once you've parked up, keep hold of your keys and stroll to the terminal - you'll be at check-in in just 5 minutes. Like the other car parks at East Midlands, Mid Stay 1 is right in the middle of price and distance. Its affordable and still just a 5-minute walk from the terminal. 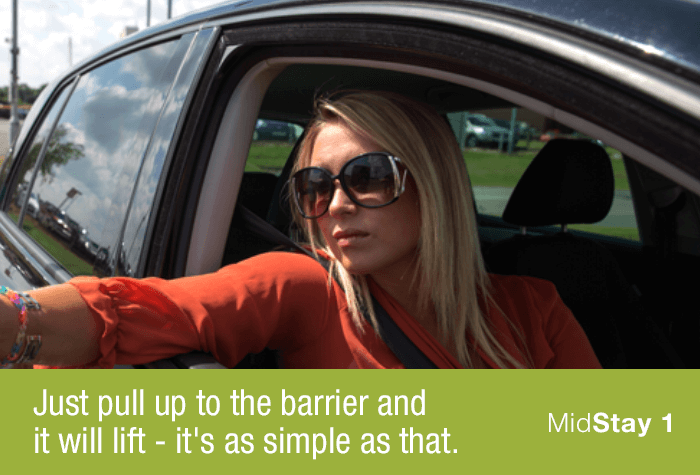 Mid Stay 1 likes to keep your parking simple - simply drive up and park. 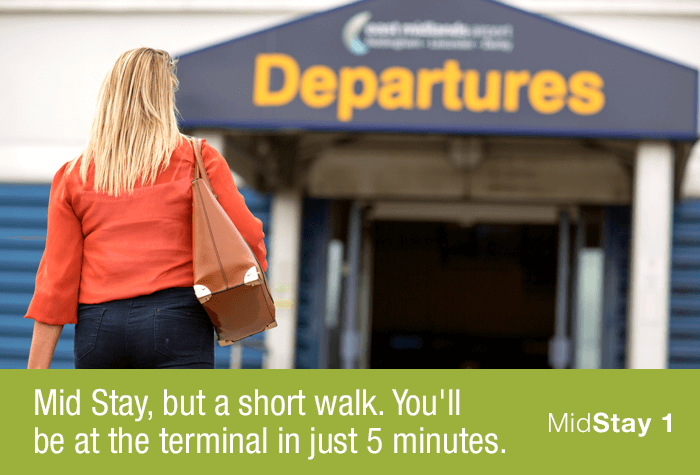 Mid Stay, short walk - you're only a 5-minute walk away from your terminal at Mid Stay 1. You just need to follow the signposts. There are security patrols around the clock, so that you know your car will be well looked after at Mid Stay 1. There's only a 5-minute walk between the car park and the terminal - simply follow the signposts from Mid Stay 1. All went smoothly - relaxing start to the holiday! As described easy access and egress from car park short walk to terminal. No complaints. Car park Mid stay 1 would only release our vehicle from the exit after the booking time.Our flight arrived early so was our exit from this car park would have been the same but not so.This detail would be useful to know when arranging entry / exit times. 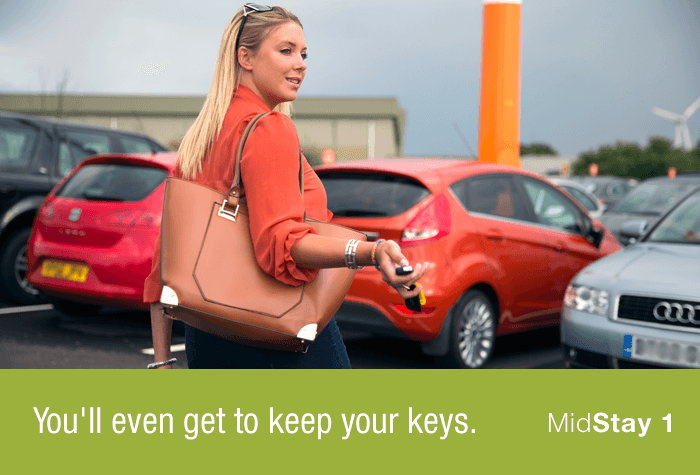 Our customers rated East Midlands Mid Stay Car Parking on average 9/10 (1492 reviews). Read East Midlands Mid Stay Car Parking reviews.